Can a soon-to-be mama ever get a little bit of rest and relaxation or is it simply impossible? Between your surging hormones and your bursting belly, it can certainly feel that way. However, relief may be closer than you think. Women all around the world love to enjoy a spa day and one of the highlights is often a body massage. Massages can relieve stress, pain, and muscle tension on top of being a luxurious way to spend your time (source). Yet, in spite of all these popular benefits, many pregnant women do not think about using the powers of a body massage to relieve their aches and pains. Is it safe? Is it comfortable? How does it even work, when you normally lay on your belly during a massage? These are just a few of the questions women have that hold them back from learning more about pregnancy massage. Our goal is to answer these questions, and more. By the time we are done, we hope we can help you make a more confident decision about pregnancy massage and if it is a good idea for you. A pregnancy massage is similar to a traditional massage in the sense that the professional massage therapist applies pressure to your muscles. The goals of relaxation and pain relief are also the same, and may be even more important during such a potentially stressful time as pregnancy. So, how is a pregnancy massage different? It all comes down to your body and how massage therapists ensure you remain both comfortable and safe. For example, a pregnant woman’s body has some sensitive points that need to be treated carefully. While the legs, lower back, and abdomen can regularly take a lot of pressure, this all changes during pregnancy and less pressure should be used (source). Many women also find traditional massage positions uncomfortable, especially as their belly grows. Massage therapists will use a wide variety of positions and apparatuses to make sure you are able to rest comfortably for the duration of the massage. If you are pregnant, your number one concern is the safety of the little one growing inside you. Between the heavy amounts of pressure and lying on your stomach, we can understand why you might be wary of a pregnancy massage. While you definitely need to follow some basic safety guidelines, massages are considered safe for most women throughout their pregnancy (source). Studies show women who get pregnancy massages have decreased instances of depression, anxiety, and leg and back pain while also experiencing less painful and shorter labors (source). These benefits are too good to pass up and can help struggling moms find some comfort. However, it is always important you discuss any alternative health treatments with your doctor before you begin them. Whether you love the idea of pregnancy massages or you still have concerns, take a trip to your doctor and tell them your plans. Are you experiencing some of the common struggles of pregnancy, such as back pain, muscle tension, surging hormones, or stress? A pregnancy massage may help. Here are ten popular benefits of pregnancy massage. Lower back pain is so common during pregnancy that some estimates suggest at least half of pregnant women will experience it (source). 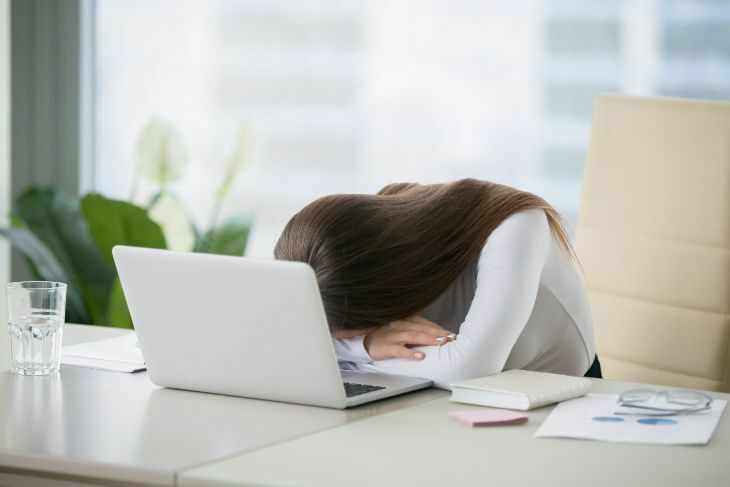 Outside of the physical discomfort, back pain can lead to higher levels of stress, difficulty sleeping, and trouble completing everyday activities. Studies show massage can help relieve back pain. In one particular study, a pregnant woman with back pain underwent twelve 30-minute sessions of massage over the course of six weeks. All four parameters used in the study to measure pain were improved by the end of the treatment (source). Look down. If you can still see your feet, are they swollen to a point of disbelief? You are not alone. Many women experience edema, or swelling, in their ankles and feet during pregnancy. If they suddenly resemble tree trunks, you’re one of those women. Swelling is caused by a number of factors. Your body retains more water during pregnancy and the pressure of your growing belly slows down the flow of blood to and from your heart, causing blood to pool more easily (source). As always, your hormones also play a role. A pregnancy massage stimulates your soft muscle tissues, which helps to drain fluids and promote healthy circulation (source). Foot massages are especially useful! In one study, forty pregnant women who received a 20-minute foot massage daily for five days saw a significant reduction in swelling compared to those who did not (source). Think of a rubber band pulled tight. This is a good way to describe muscle tension. Essentially your muscles become tight, which can lead to a lot of pain (source). Muscle tension can happen anywhere in your body. During pregnancy, it becomes increasingly hard to move. Your muscles have a tough time remaining strong, warm, and elastic if you can’t get up and use them. A massage can relax muscle tension by increasing blood flow to your muscles. Blood flow will essentially warm the muscles up and soften them as circulation improves, providing pain relief and increased mobility (source). There is a reason people love to get a massage. They release many feel-good hormones! For pregnant women, the roller-coaster hormone changes that occur during pregnancy can wreak havoc on the body and mind. To help keep your hormones regulated, consider a pregnancy massage. Massages have been shown to increase your levels of dopamine, serotonin, and oxytocin, which all produce feelings of joy and peace, alongside a number of other benefits (source). You may feel terrible for not enjoying the magic of pregnancy. Don’t be so hard on yourself. Many mamas out there experience some form of depression during or after their pregnancy. With all those feel-good emotions released during a massage, it can help. In one study, pregnant women diagnosed with a major depression had a massage twice a week for twelve weeks. By the end of the therapy period, the women not only experienced a significant reduction in their depression symptoms, but also saw this reduction continue postpartum. Did you know there is a stress hormone? It’s called cortisol and elevated levels of it are associated with a host of health problems, including a lower immune system, high blood pressure, heart disease, and more (source). The scariest part is that high levels of cortisol during your pregnancy may even negatively affect your baby (source). Cortisol levels will naturally rise by two to four times during pregnancy (source). Part of this is essential for baby development, but higher levels can be damaging to both of you. Studies have found massages can reduce your cortisol level and reduce stressful fetal activity while your baby is in the womb. Plus, it will definitely help you feel less stressed as you navigate your pregnancy. Located in your lower back and running through your buttocks and into the spine, the sciatic nerve can cause pain during pregnancy when it becomes pinched or compressed (source). Whether caused by muscle tension, pelvic misalignment, or even the weight of your baby on the nerve, sciatica can lead to both pain and numbness. Pregnancy massage can help improve sciatic pain by reducing inflammation and swelling, thus relieving pressure on the sciatic nerve, and also helping your muscles and joints to go back to their proper position (source). A study at the University of Miami School of Medicine showed a pregnancy massage may help improve sleep (source). While more studies need to be done on the specific links, experts believe massages promote the deep sleep phase, the restorative phase of sleep where your body is absolutely still and gains most of its healing (source). This could be due to the lasting feelings of relaxation and pain relief experienced after a massage. A strong, healthy body is essential for a good labor. Pregnancy massages not only have benefits throughout your pregnancy, but can also improve your labor experience. This is something all moms strive for! Studies show women who receive massage therapy not only experienced less pain during labor, but they needed less medicine and their labor time was reduced by three hours on average. While you can technically begin massage therapy at any point in your pregnancy, most professional massage therapists will request you wait until your second trimester. This is because of the higher risk of miscarriage in the first trimester. No scientific links have been made between massages and miscarriages, but some professionals worry about the increased blood flow and sensitive points in your body that may trigger labor (source). One of the greatest concerns doctors have with pregnancy massage is the vast variation in training and certification available for massage therapists. Because laws differ in every state, not every massage center you go to will be properly trained in treating pregnant women. There is no standard certification for massage therapists across the country, but talk with anyone you meet with and ask if they have received prenatal massage training. Pregnant women have a greater risk of developing blood clots, especially in the legs and pelvic area. Should the blood clot become dislodged, it may become a pulmonary embolism, a life-threatening occurrence where the clot travels to your lungs and blocks one of the essential arteries found there (source). If varicose veins are present, a deep tissue massage on your legs increases the risk of dislodging any existing clots. Your massage therapist should massage your legs lightly and always use upward motions, toward the center of the body. Not long into pregnancy, your body will start to change in visible ways. Your baby bump is one of the most obvious changes, along with a pronounced curve in the spine and possible breast swelling. All of these together make the traditional massage position, lying face down, uncomfortable and unsafe. It can cause undue stress on your back, pelvis, and uterus (source). Flattened breasts against the massage table can also be quite painful. Make sure your massage therapist has pillows, cushions, or even a special massage table to ensure you can lay on your side for your massage. There are massage tables with a hole cut out for lying face down, however, these are not a good idea in later months as they can constrict the abdomen in late stages and put pressure on the baby itself. Best practices are working in the side lying position with pillows to support the upper leg, arm, and the head. If the client is comfortable lying face up that is okay for short periods, with the caveat that sometimes the baby can lie on top of the vena cava (main vein from the legs) and cut off blood flow. Most Massage Therapists used to believe they should never work on a later stage pregnancy face-up, but this viewpoint has softened over the last decade and we are now willing to work face-up for 10-15 minutes or so as long as the client feels comfortable. Clients will feel uncomfortable with any pressure on the vena cava long before it becomes a medical issue during the session. If this happens, we simply ask that they go back to side lying position. Also, the point at which clients will start being uncomfortable lying face down on a table varies from client to client. In general, clients like to come in during the first trimester so that they can still experience face down massage. At some point between months 3-4 this will no longer work for a client and we work as above. Some massage therapists use essential oils to enhance your massage. Some essential oils are safe, such as lavender or chamomile. These oils are relaxing and aid sleep. However, some oils can work as stimulants and causes uterine contractions, leading to full-blown labor contractions (source). Your massage therapist should have a full list of essential oils to never use on pregnant women, but some of the most common to avoid include fennel, sage, cinnamon, tarragon, hyssop, and wormwood. No matter what types of essential oils your massage therapists uses, ask them to test a small patch on your skin before beginning. You will likely experience many skin changes during pregnancy and you don’t know how your skin will react. It’s also perfectly fine to ask your massage therapist to use no essential oils on you if you’re worried about whether they’re safe. A massage should be a source of relaxation, not another thing to stress about! The hormone Relaxin help allow the body to make the structural changes necessary to carry a baby to term and give birth. Its function is to allow the pelvis ligaments to soften and expand. However, it affects all ligamentous structures within the body due to the fact that the body can’t target where hormones go since they are transferred through the blood. The side effect is that all ligaments and tendons soften and become much more vulnerable to injury. In my opinion, heavy forms of exercise are to be avoided and lightened up especially in the 3rd trimester and for the next 3-4 months after until the hormone is truly out of the body. Massage therapists should avoid doing any deep work on ligaments or tendons, instead focusing on muscle bellies. The risk would be opening up ligament “too much” during sessions leaving a joint such as a knee or ankle with less structural integrity after the pregnancy. Did you know there are dozens of types of massages? Developed and implemented by different cultures for hundreds of years, these massages are likely available by professional massage therapists in your area. Deep-tissue massage, which uses strong, applied pressure to your muscles. Swedish massage, which uses long strokes of medium to light pressure. Shiatsu, which uses tapping and pressure on acupuncture points. All three of these types of massages can be beneficial in different ways for pregnant women. It is important you talk with your massage therapist about what techniques they plan to use for you. You’re tired and you’re sore. Your belly is growing bigger and bigger. Getting out of the house seems impossible, even to go to get something as enjoyable as a massage. Luckily, there are some techniques you can use at home. We especially like self-massage because it allows women in a number of situations to take control of their own comfort and health. Self-massage describes techniques you can do alone at your own convenience. We’ve gathered three of our favorites below. One of the most popular self-massage techniques is to use a tennis ball to apply pressure to pained muscles. It is an affordable option that allows you to massage multiple areas of your body. Most will secure the tennis ball on the floor and then position their body on the tennis ball, allowing the weight of their body to naturally press into the tennis ball. Never just stand on a tennis ball! It can lead to falls, especially during pregnancy when your balance is off. If you’d like to use a tennis ball to massage your feet, make sure you are holding onto a wall or sitting on the edge of a chair. Massaging your belly can be a special bonding time for you and your baby. Using a light massage oil and propping yourself up comfortably on pillows, lightly run your fingers over your belly in comfortable motions. Remember to breathe whenever you work your own muscles. Breathing will help you relax and prevent injury. As you breathe, imagine the breath traveling down to the muscles you are massaging. During pregnancy, your feet can become swollen and sore. Relieve the pain by creating a homemade massage cream of coconut and peppermint oil and working it into your feet in upward motions. The mixture of oils provides a soothing effect while the upward motions help reduce swelling and alleviate pain. Do not press too hard! There are certain pressure points in your feet known to induce labor. Do not press in any one area for too long and if you feel any pain, stop. We are sure you have a lot more questions about pregnancy massage. In this section, we will go over some of the most frequently asked questions. We know we cannot address everything here, so we always encourage pregnant women to do their research and talk with a professional before beginning massage therapy. How do I find a trained massage therapist? One of the best ways to find a trained massage therapist who specializes in pregnancy massage is to talk with your doctor, midwife, or labor professional. They may already have a list of massage therapists to recommend. You can also use this website to search for a massage therapist who has registered with the American Massage Therapy Association, which means they adhere to high standards and a code of ethics. What will my first pregnancy massage be like? You have a lot of control over your pregnancy massage. Once you find a massage therapist you trust, your first meeting will involve paperwork and a health questionnaire. Your massage therapist will ask you a lot of questions about your pregnancy, your concerns, and what you hope to gain from your time together. You will be able to determine what type of massage you’ll receive, the most comfortable positioning for you, how long the massage will last, and if you would like to remain clothed. When it comes to the actual massage, your massage therapist will generally ask you some questions to identify the areas of your body that need the most work. They will then tailor the massage to your specific needs. During your first visit, it is important you communicate about what feels good and what hurts. How many times should I get a pregnancy massage? There is no set limit on how many times you can get a massage when you are pregnant. You can visit once a month, once a week, or whenever you hurt. It will depend on your budget, your personal needs, and your health. Your massage therapist can give you more clarity on a massage schedule that would work best for you. If you decide to get massages on a more regular basis, make sure you take precautions, such as drinking a lot of water and avoiding any sort of strenuous activity after your massage. This will help stop dizziness or headaches. What is a pregnancy massage table? Many massage therapists use pregnancy pillows and a wedge to keep women on their side during a massage. This is often seen as the best position for a pregnancy massage. However, some also employ specially designed massage tables for pregnant women. This sort of table features a hole for your belly and often depressions for your breasts. It can be a treat for women who have not been able to lie on their belly for a long time. Can my partner give me a massage at home? Your partner can help massage you. It is important you avoid undue pressure and communicate to ensure you do not accidentally get hurt. We highly suggest working with a professional to give you some safety tips. We suggest your partner focus on your feet and your shoulders, two places in your body that can carry a lot of stress. Can I use massage chairs? Massage chairs are a very easy way to enjoy the benefits of a massage. The chairs feature heat and vibration to provide pain relief. However, many women wonder if it is safe. While much conjecture exists, no scientific evidence has proven massage chairs are unsafe for pregnant women or their growing babies (source). What is a labor massage? Some of the benefits of massage can be useful during labor (source). You and your partner can learn how to alleviate nerve pain and massage the back for an easier labor. When your muscles are relaxed and pliable, delivery can be easier. When is a pregnancy massage dangerous? You have a history of deep vein thromboses (blood clots) in your legs. We suggest all moms-to-be check with their doctor before starting massage therapy. Are all massages created equally? Not necessarily! Different states have more or less training requirements to become a licensed Massage Therapist. For example, In New York State, therapists are required to cover basics for pregnancy the massage as part of the standard 1000 hour training. Other states have lower hourly requirements (as low as 500 hours) and may skip pregnancy massage training altogether. In general, asking if therapists have direct training and experience working with prenatal clients is a good idea. 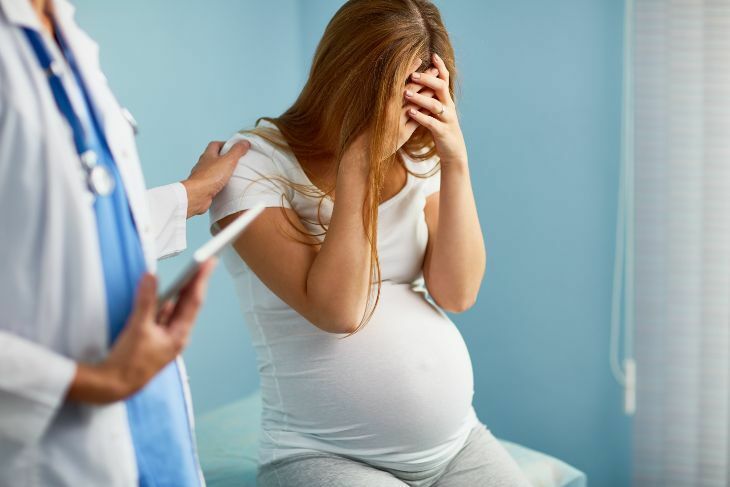 Pregnant women often experience pain and stress as their little one grows. Pregnancy massage can be a useful tool in helping you find some rest and relaxation. Have you gotten a pregnancy massage before? We would love to hear about your experience. After all, a massage sounds great, but everything changes during pregnancy and we know there are moms out there who want to know what it is like. If you think this article is helpful, please share it with your pregnant friends! Why is my Poop Green While Pregnant? Is It Normal To Always Be Tired When Pregnant?